Water skis Adult and Kids, Adult can be used as Mono. 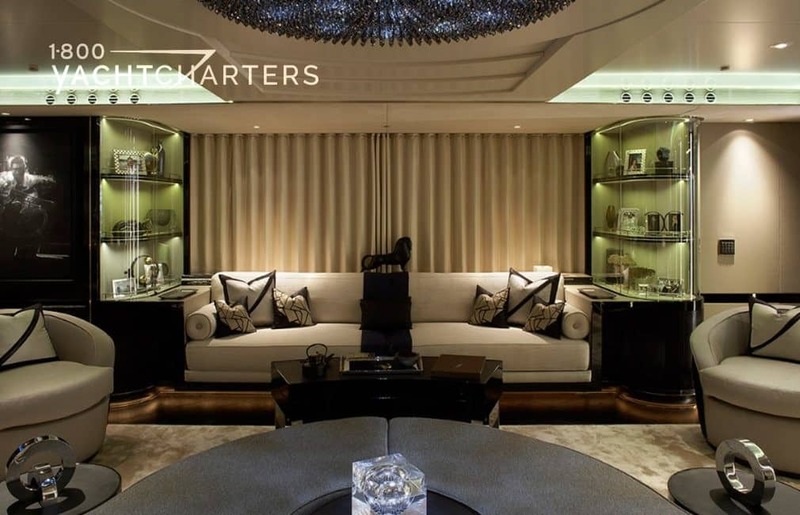 The design was noticed and awarded in 2010 at the World Superyacht Awards (Best Displacement Motor Yacht 500GT-1,299GT) and again in 2011 at the International Yacht Awards for most outstanding interior design for yachts over 60 meters. 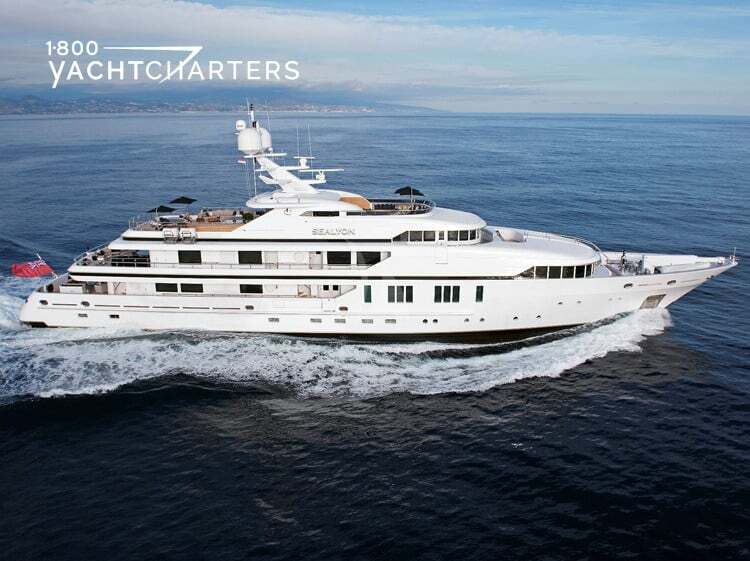 When launched, yacht SEALYON was named CANDYSCAPE II, and her award-winning exteriors remain the same today as when she first entered the private luxury yacht charter marketplace. 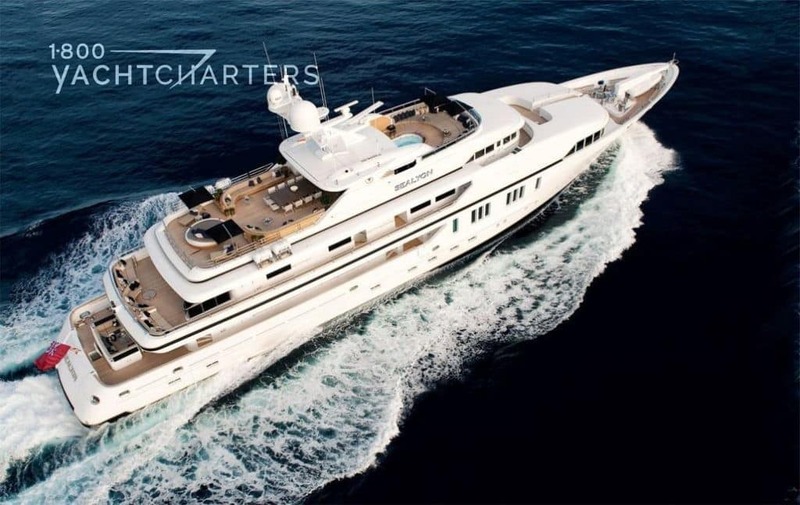 Christian Candy described charter yacht SEALYON as, “…more than a home; it’s a floating showcase of the very best nautical technology combined with the most luxurious interior designs and innovations put to sea. There is no place on earth like it.” The yacht’s eclectic style span the glamour of the 1930’s with art-deco elements, all the up to 21st-century state-of-the-art amenities and technical features. Every detail onboard ties into the yacht’s eclectic theme – from a powder room inspired by a vintage Riva motorboat, to another bathroom with a glass map etched upon the walls. 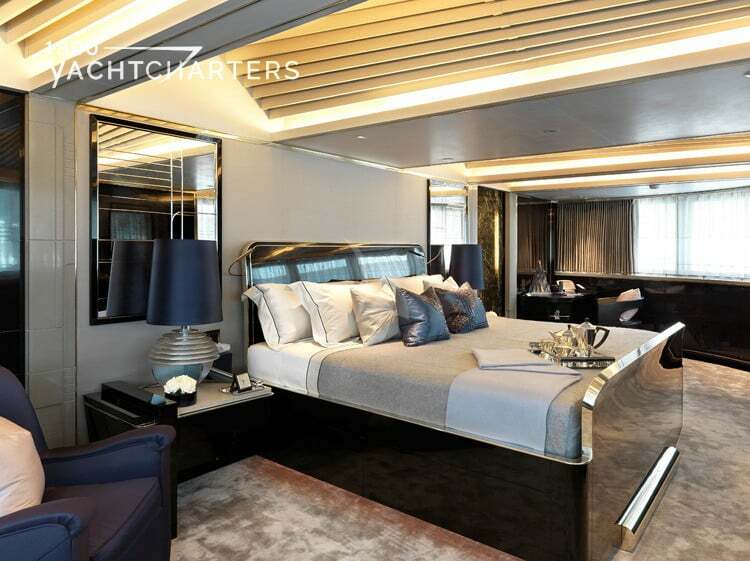 Throughout the yacht, onyx, marble, and metal finishes are decorated with subtle wind and water motifs. 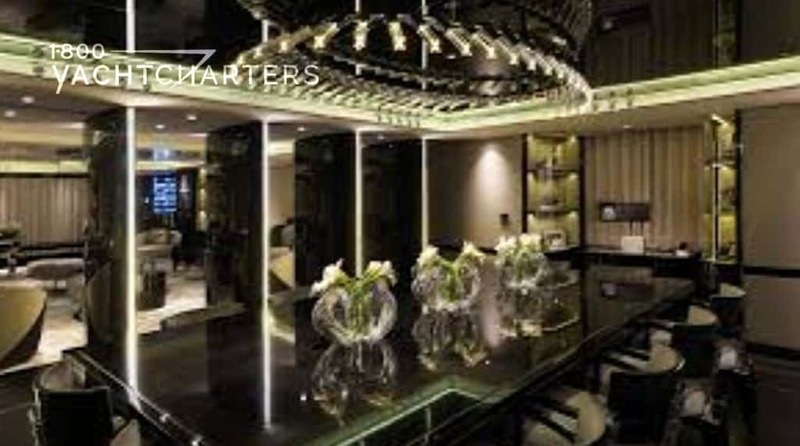 The formal reception and dining areas capture the blending of onboard glamour and technology. Not only are elegance and high living on display, these two spaces are separated by electronically operated “fins” that can be angled to create different degrees of privacy. Useful technology is also on display on the topside, where a circular revolving sunbed on the sundeck also features mist generators to keep guests cool and comfortable in the warm Mediterranean sun. Accommodations are available for up to 12 guests in 6 staterooms (4 Double, 2 Twin, 2 Convertible). The master and VIP staterooms are located above deck, and 4 guest cabins are positioned belowdeck.